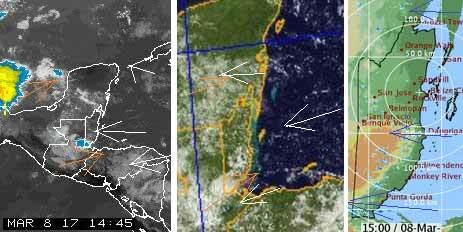 Belize NMS: Relatively moist conditions prevails before a gradual decrease over the next few days. 24-hour forecast: Sunny with a few cloudy spells today and partly cloudy tonight. A few showers will occur mainly over southern and central areas. Winds: East to northeast 10-20 knots with occasional higher gusts. Today: Winds: E-NE 10-20 kt with occasional higher gusts; seas: Moderate - rough. 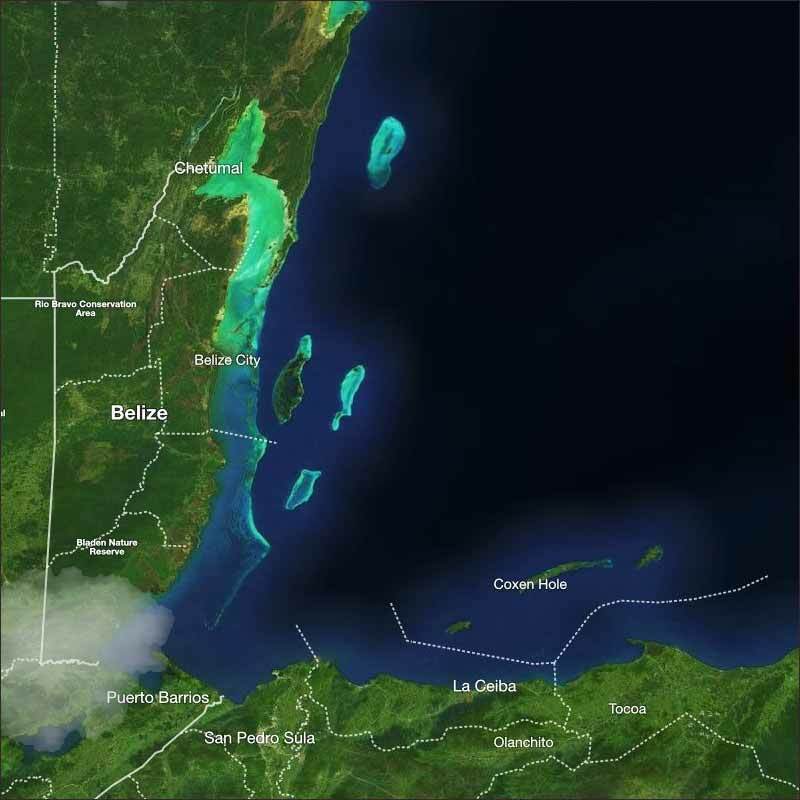 ; waves: 4-7 ft.; a few showers mostly over southern and central areas . Tomorrow: Winds: E-NE 10-20 kt; seas: Moderate ; waves: 4-6 ft.; a few showers, mainly south. Marine Outlook: Thursday night:-Winds: E-NE 10-20 kt; seas: Moderate; waves: 4-6 ft.; a few showers mainly over the south. General Outlook: For Thursday and Thurday night is for partly cloudy skies with a few showers mainly over the south. Easterly Caribbean winds dominating the area, but being slowed down in the Gulf, there is a little clashing of SW high level winds, particularly causing rain along the Sarstoon area. Looks like today will continue to be a mixture of sunshine and cloud, but with less rain showers.